– Tuber rest period is medium: 60-80 days. – Growth period is medium: 80-100 days. 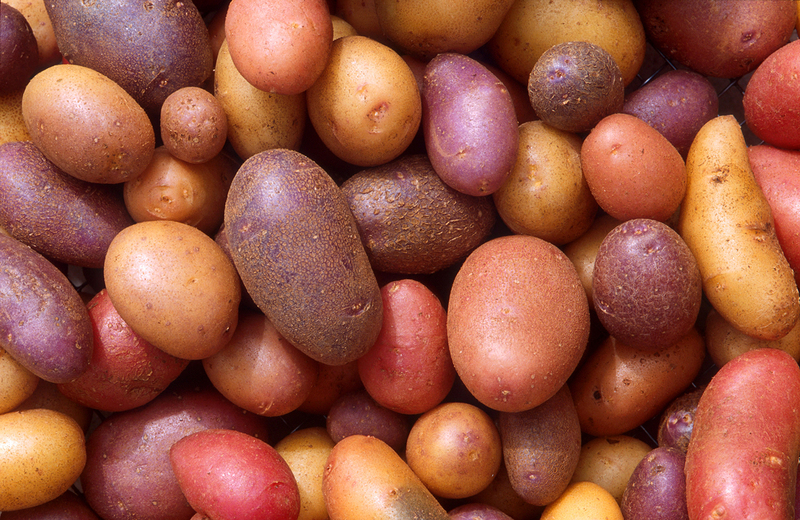 – Buffelspoort are lovely table potatoes suitable for processing to chips while fresh. Also used for salad and baked jacket potatoes. – Tuber rest period is short: 50-70 days. – Growth period is medium to long: 90-110 days. – Up To Date potatoes are good for all round use and a favorite among homemakers. It is wonderful for making french fries and mash. – BP1 potatoes are best used as table potato. – Tuber rest period is long: 90-110 days. – Growth period is medium: 70-90 days. – Van Der Plank potatoes are suitable for fried and frozen chips products. The plants are supplied to client’s greenhouse facilities to produce Mini Tubers and Tubers, which are further multiplied, grown and harvested to produce table potatoes.